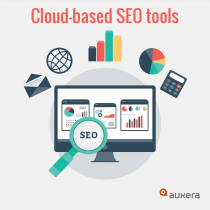 When we tackle an SEO project, we’re faced with the problem of how to report back to the client with the results of the strategies we’ve carried out. Obviously, the ultimate goal of every SEO strategy is to achieve conversions of the initial objectives. But how can we present this information clearly and concisely? 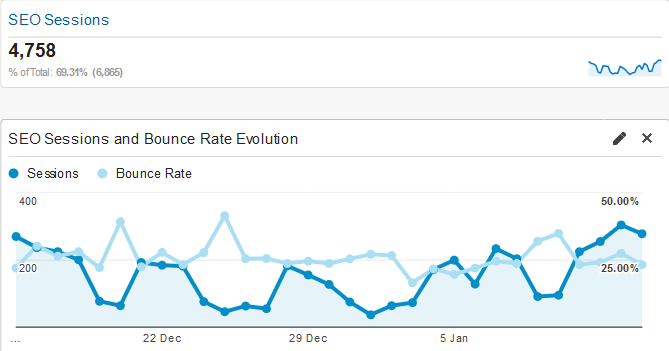 Google Analytics gives us a lot of data on user behavior within our website. This allows us to see how our strategies are working and modify them to better suit our purpose. So how can we avoid getting swamped by this flood of information? The answer is dashboards. They offer an overview of the health of our SEO at a single glance. 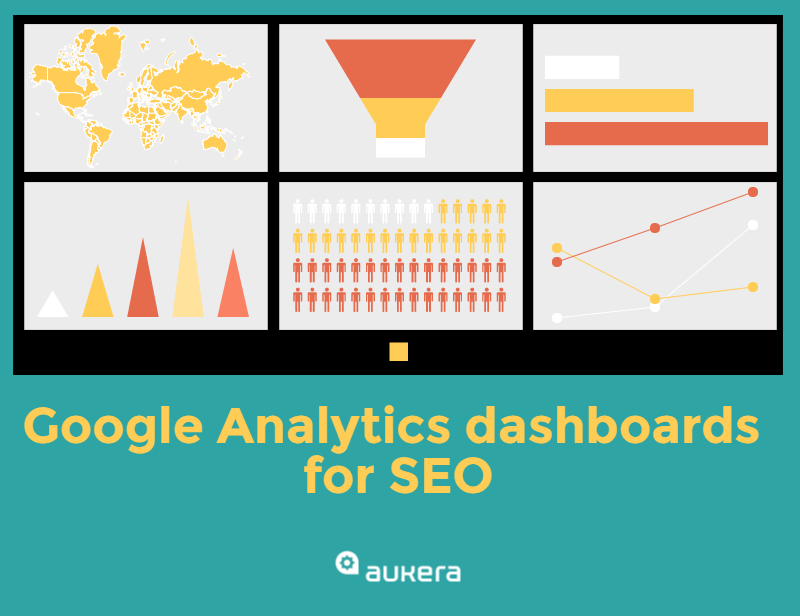 What should an SEO dashboard contain? In a nutshell, it should contain the information we need to determine whether things are progressing as we hoped. 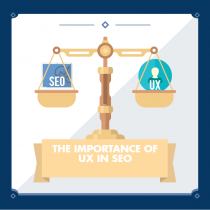 SEO is influenced by a myriad of factors, so it’s difficult to have just one dashboard. However, today I’m going to look at two general dashboards with you, and over the following weeks I’ll expand the list to include more specific ones. Evolution of SEO traffic: this lets us see if the number of users who find us through search engines is increasing or decreasing. 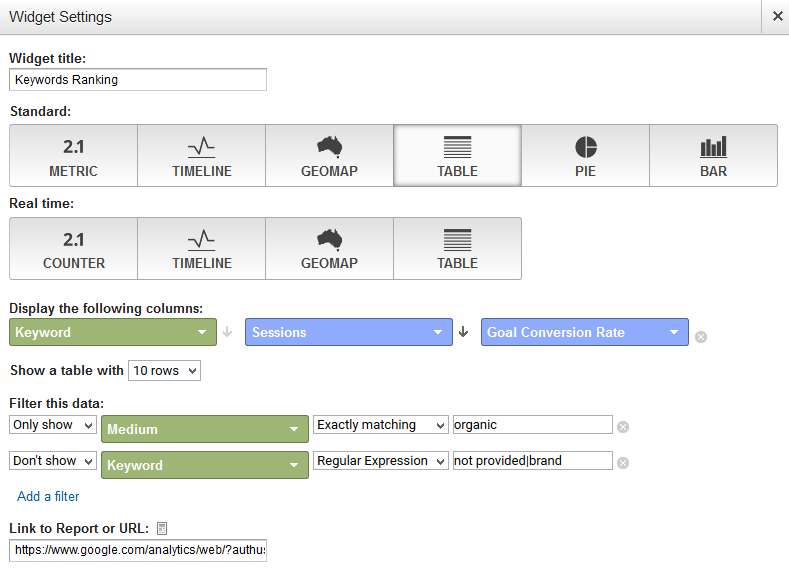 Keywords via which SEO traffic is reaching us, and whether these sessions are converted. The landing pages that attract the most organic traffic, which gives us a clue as to which of them are the best-positioned. The percentage of visits that come via search engines. 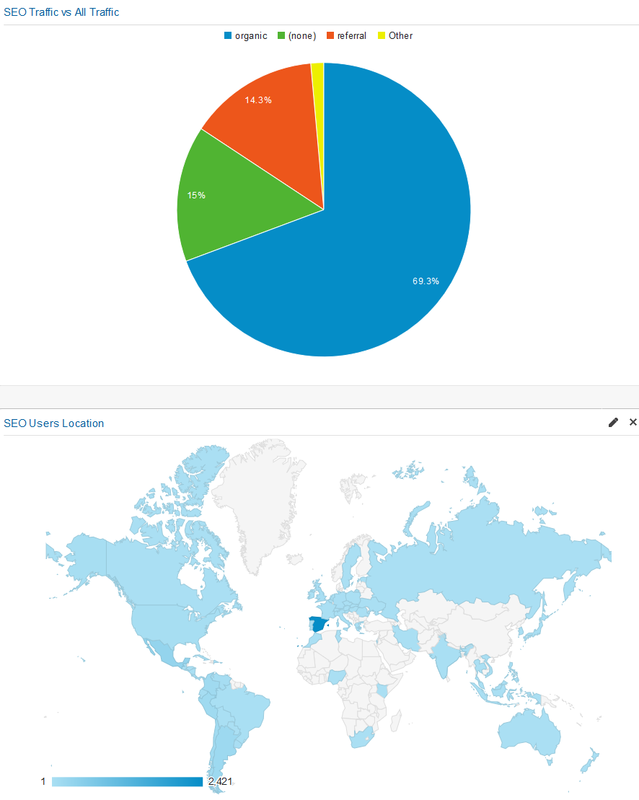 The geographic location of the users visiting us. Do they search within our site? This gives us clues as to what they’re looking for and what we haven’t offered them on the landing page they arrived at. We can bear these points in mind and incorporate them (or not) into our strategy. Branded traffic. It’s important to see what kind of behavior is displayed by the users who search for our brand, the keywords they use, the landing pages they arrive at and their behavior within the site. Finally, we shouldn’t forget the “not provided” traffic, as the pages they come from can offer guidance regarding potential keywords for positioning ourselves. This dashboard is designed for those who are impatient, who need to know straight away how users arriving via search engines are behaving. It’s also for those times when we need to monitor the flow of users and their behavior during this process, whether in terms of migrations, launches or one-off campaigns. Which channels of traffic bring visits? From which geographic location and via which source are they arriving? What page are the users on? What devices are they browsing with? The users that found us via search engines without using branded searches. 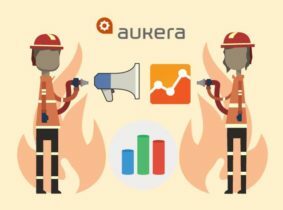 We invite you to take a look at our space in the Aukera’s Google Analytics Solutions Gallery, where we’ll be uploading these resources and much, much more. We hope you’ll find it useful for your day-to-day activities. Happy monitoring! Thanks for your useful article and templates! Sometimes it is not easy to make the most of Analytics information. Hi, Isabel! We are glad that you like it. 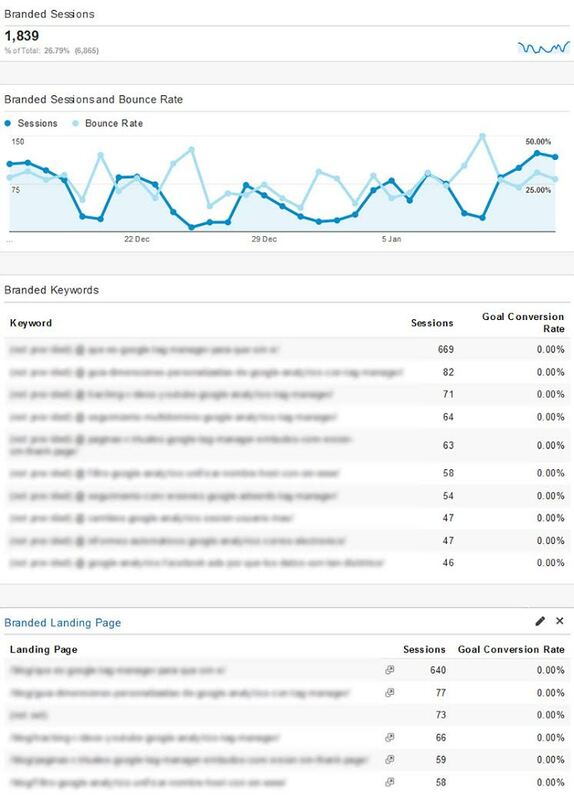 You can find another dashboard in this article and more resources in the Google Analytics Solutions Gallery.